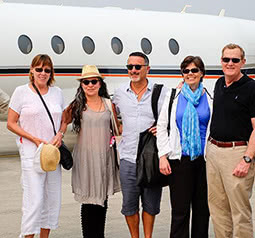 Experience Indochina in style and comfort, aboard a luxury private jet. 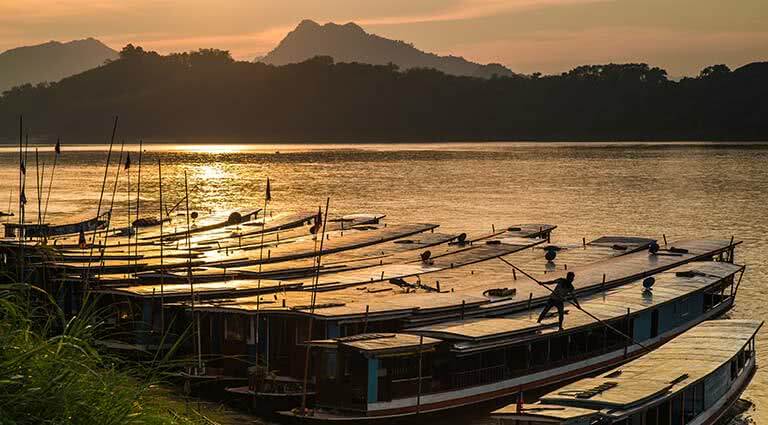 Starting off in Bangkok, you’ll take in some of the city’s most ancient temples, before taking off for the ever-charming Lao city, Luang Prabang. From here, you’ll head to Vietnam, where you’ll take in some of the country’s most unforgettable sights, including the incredible Halong Bay, which you’ll experience from your own private helicopter. Continue onwards to Siem Reap, where you’ll explore the ancient temples of Angkor. 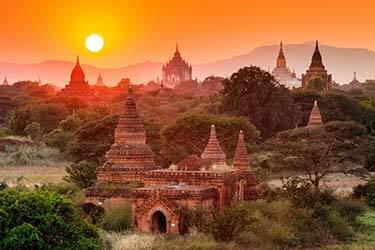 This whirlwind Southeast Asia tour hits all the hotspots, allowing you the ideal amount of time to experience each one. 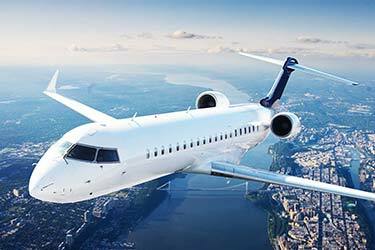 Why fly by private jet? 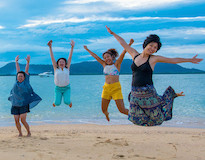 Southeast Asia is a big place, and this itinerary covers some major ground. 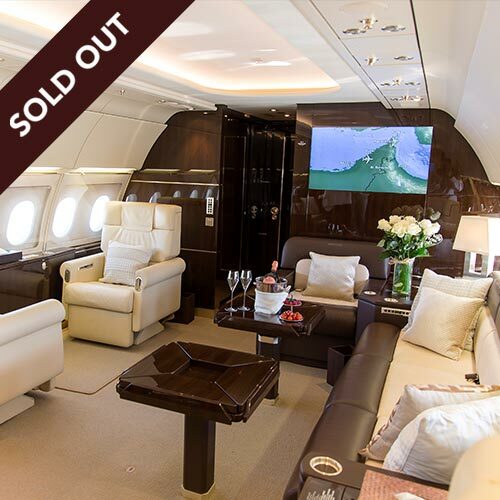 While no doubt doable by commercial airlines, experiencing it from aboard a private jet makes for a seamless, simple journey. You won’t have to deal with long transfers, delayed flights, or cancellations - the flights leave when you’re ready, not the other way around. 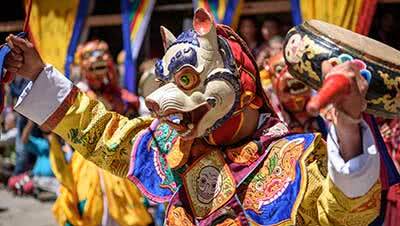 This is the ultimate way to get the most of your 12-day Indochina luxury tour. 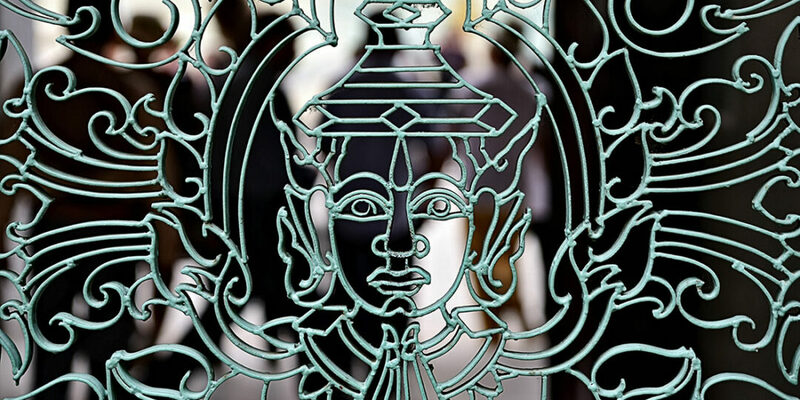 Arrive in one of Southeast Asia’s most exciting hubs, the thrilling city of Bangkok. Check in to your luxury hotel - we recommend the exquisite Peninsula, or The Siam, and spend some time getting acquainted with your new surroundings. 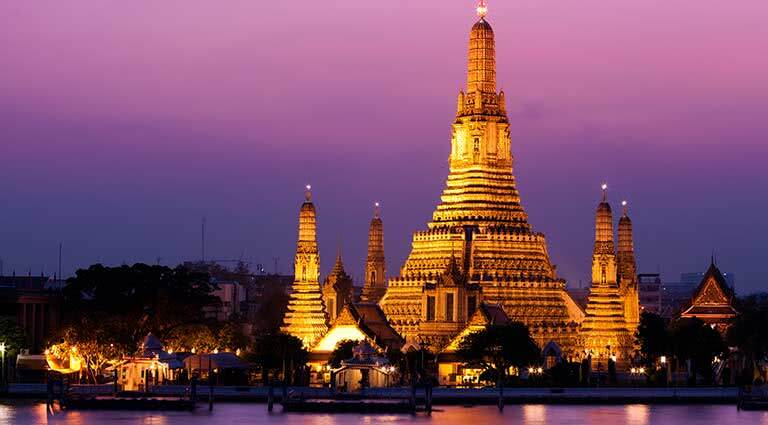 Head out into the city to check out some of its most famous sites, from Wat Phra Kaew, to Wat Arun - the Temple of the Dawn, and Wat Pho with its reclining Buddha. 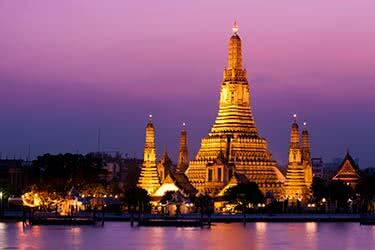 Relax this evening at your hotel, or explore Bangkok after dark. 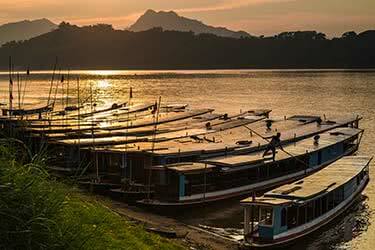 Take off for Luang Prabang, Laos today, a charming UNESCO city on the banks of the Mekong. Unload your luggage at one of our two recommended hotels - either the Amantaka or Hotel De La Paix. 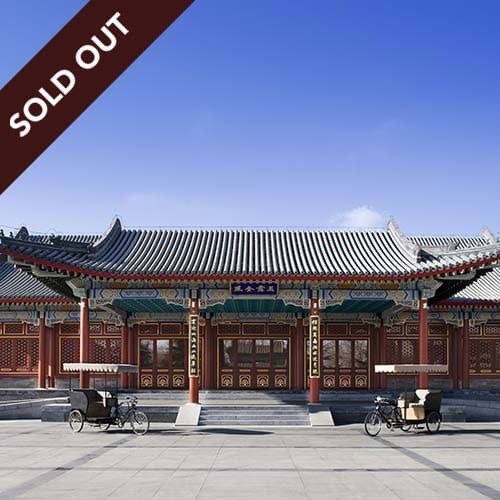 Once settled in, get to know the city with a tour of its palaces and monasteries. Take breaks to dine on traditional Lao cuisine - a tasty treat! Today you’ll head to the stunning emerald-hued Kuang Xi Waterfall - a stunning sight less than an hour’s drive from the city. Don’t forget your camera! You’ll want to have it by your side all day, especially for sunset, which you’ll take in from the top of Mount Phousi. Return to your hotel and relax ahead of tomorrow’s departure. 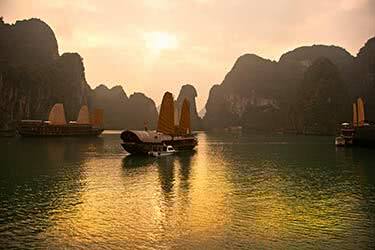 Board your private jet once again - today, you’re heading to Hanoi, Vietnam’s bustling capital. 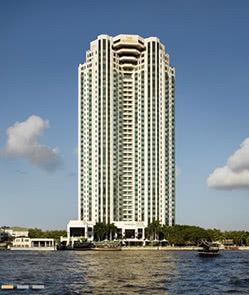 You’ll be escorted to your hotel - we recommend the well-appointed Metropole. Head to the city’s Old Quarter, and gaze in awe at the striking architecture of yesteryear. In the afternoon, spend some leisure time on the banks of Hoan Kiem Lake, a social hub. Stroll streetside this evening and experience the city at sundown, when its true character comes to light. Trade the private jet for a private helicopter today, and enjoy a thrilling once-in-a-lifetime ride to the unforgettable Halong Bay. This UNESCO World Heritage Site consists of as many as 2,000 islets, and has inspired many an artist for centuries. The limestone karsts here have been an incredible 500 million years in the making. 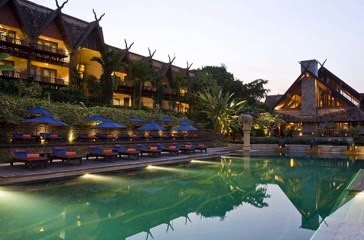 Head back to Hanoi in awe this evening, returning once again to your luxury hotel. 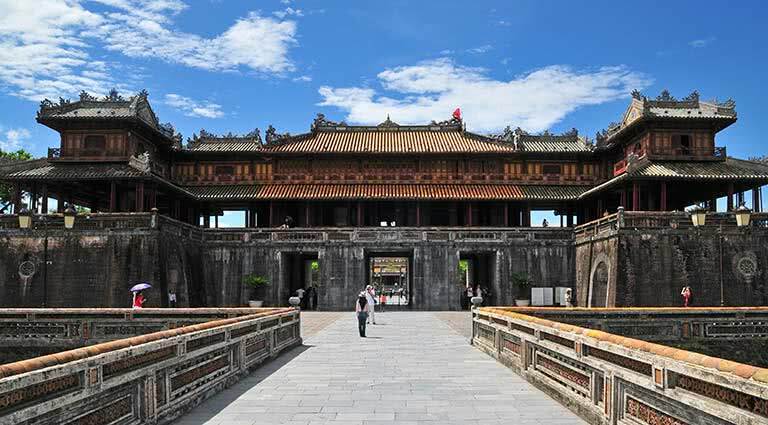 A quick flight will take you to Hue today, where you’ll be escorted to your luxury hotel, La Residence. 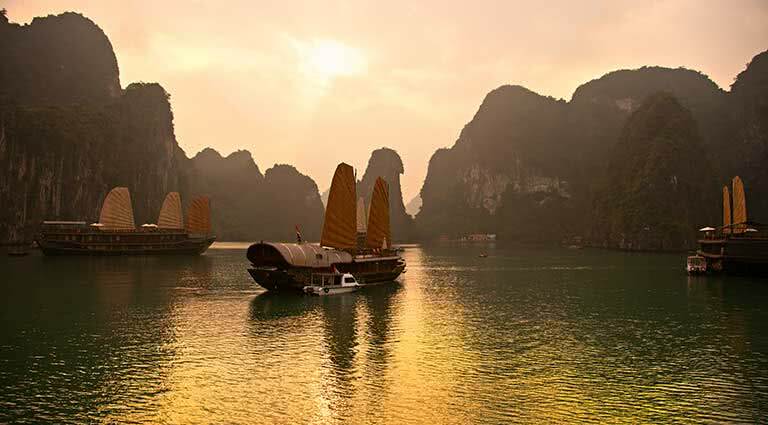 Start your Hue experience with a cruise on the Perfume River. Breathe deeply and experience the sweet aroma given off by the flowers floating atop the river. 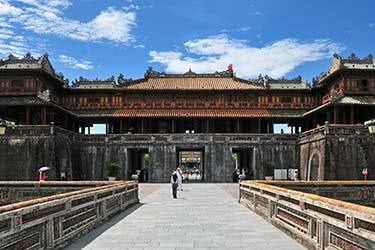 In the afternoon, you’ll check out the Nguyen dynasty mausoleum, and the Imperial Citadel, another UNESCO designated area. 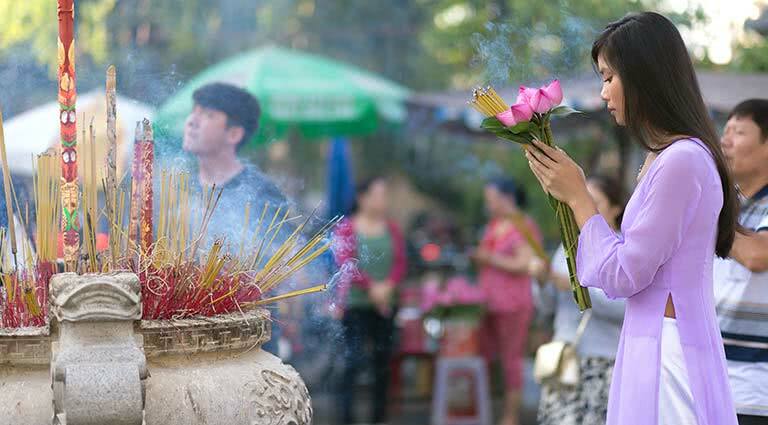 End your day with a blessing from a Buddhist monk at a traditional Hue monastery. Head South today for Saigon. Also known as Ho Chi Minh City, or HCMC, this is Vietnam’s largest and busiest city. Check in to your luxury oasis at the Park Hyatt, before stepping out into the bustling streets. Head to the Reunification Palace and the War Remnants Museum, before stopping by the local markets to pick up some souvenirs and treats. Wake up early this morning for your trip to the Cu Chi tunnels. Discover an underground network of tunnels once used by the Viet Cong during combat. 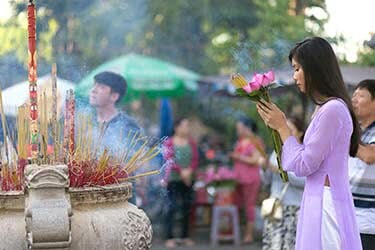 Your cultural tour continues this afternoon, with a trip to the city’s Chinatown, as well as visits to Saigon’s many Catholic, Buddhist, and Muslim religious sites. Time for country number four today - an easy and comfortable journey on your private jet will get you there in no time. You’ll disembark in Siem Reap, where you’ll check in to one of our three recommended luxury hotels: the Amansara, Raffles, or the Park Hyatt. You’ll ease in to your Angkor Wat adventure today with a trip to the Roluos group of temples, some of the Khmer empire’s earliest, just a short drive away. 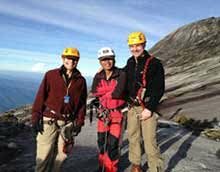 Channel your favorite ancient explorer today - be it Indiana Jones or Lara Croft - and let your expert guide take you through the majestic structures of the ancient Kingdom. 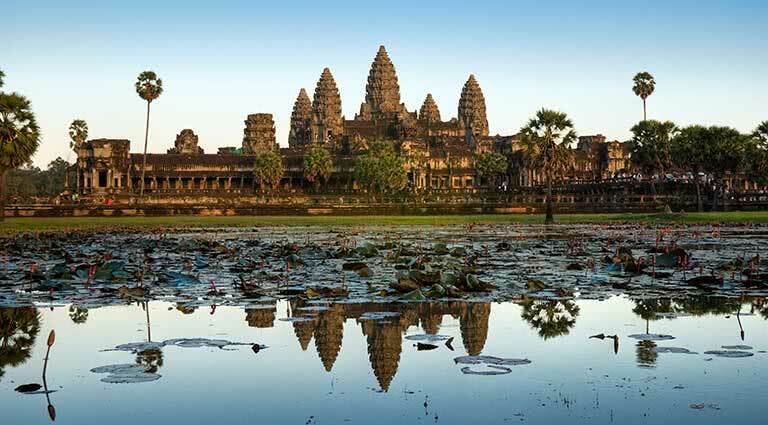 You’ll hit all the major hotspots and can’t-miss sights, including sunrise at the world famous UNESCO designated Angkor Wat complex, Ta Prohm and Bayon Thom. Head back to your luxury hotel this evening to relax, or head out to the night market and grab a bite to eat in the lively town center. 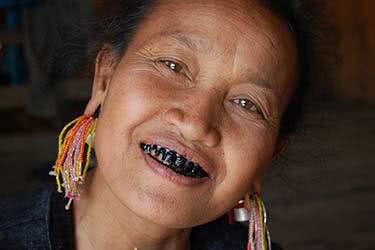 Today you’ll head outside of the city, about 25 km, to take in the “jewel of Khmer art”. Banteay Srei is a 10th-century Cambodian temple dedicated to the Hindu goddess, Shiva, and is tiny in size when compared to the temples of Angkor, but no less impressive. Continue onwards to view the other end of the spectrum - Beng Mealea is one of the empires largest temples. Further onwards, Koh Ker is a sprawling sanctuary that was once a bustling and important city in the Khmer Empire. 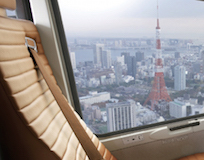 Board your private jet for one final return flight to Bangkok today. 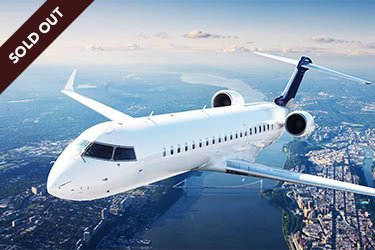 Here, you have the option to remain in the city, or to be escorted to the airport in time for your onward travels - either home or to your next exciting destination. 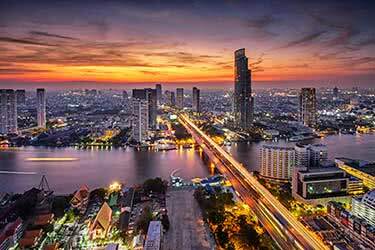 Overlooking the Chao Phraya river, the iconic Peninsula’s commanding views of the city’s skyline make it one of the most elegant choices in Bangkok. Designed with a blend of modern and traditional Thai decor, the hotel provides all of the comforts of home with an exotic flair, all with the level of quality service and amenities that define the Peninsula. The hotel boasts three restaurants: Mei Jiang for Cantonese cuisine; Thiptara for Thai home-style cooking on an open-air pavilion; and the River Cafe and Bar, located on the banks of the river. The excellent spa, ESPA, offers state-of-the-art treatments, and an extensive fitness center includes a pool set in a garden complex. 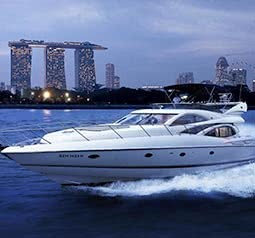 The Peninsula is located approximately 45 minutes by car from Suvarnabhumi International Airport (BKK). 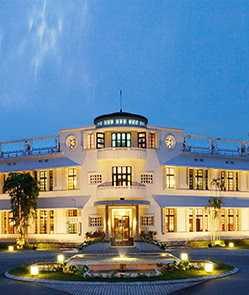 The Siam Hotel is set on 3 acres of verdant lawn along the city side of Bangkok’s main river, the Chao Praya. The Siam is a private 39-room luxury retreat with its own unique historical background located in Bangkok’s royal Dusit district. Designed by internationally acclaimed architect Bill Bensley, the property is Art Deco inspired with infusions of Thai antiques and traditional architecture. 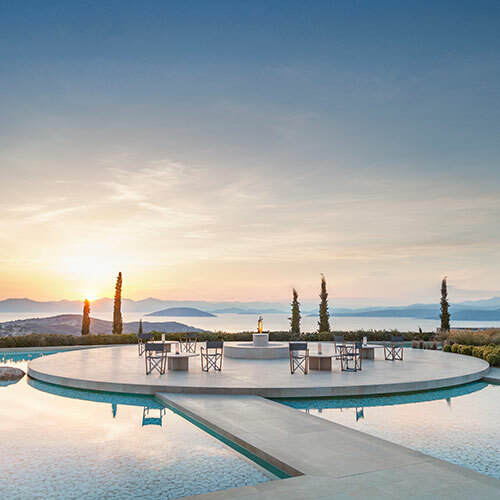 Guests have an array of amenities at their fingertips: restaurants, a cooking school, bar, café, spa, gym, yoga terrace, Muay Thai boxing ring, beauty salon, library/cinema, infinity pool, gift/antiques gallery, conservatory and traditional Thai houses. 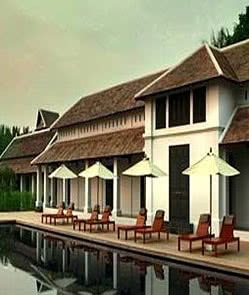 The Siam’s 39 suites and pool villas are noticeably spacious and well equipped with modern conveniences. All rooms are outfitted with plush furnishings, super-sized king beds and lofty ceilings. Each suite is individually designed with original turn-of-the-century Oriental artwork and antiquities and is catered for by a personal butler. Complimentary WiFi is available property-wide. Onsite dining options include a Thai restaurant, international cuisine bistro, bar and coffee and cakes shop. 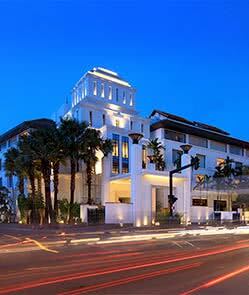 The Siam Hotel is approximately 50 minutes from Bangkok Suvarnabhumi Airport (BKK). 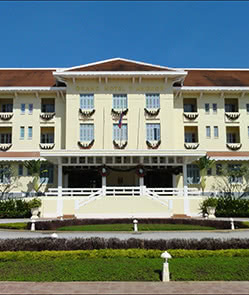 Sofitel Luang Prabang, located in a refurbished French colonial fort, is one of Luang Prabang's most historic luxury hotels. Sofitel Luang Prabang is an all-suite property with 23 suites and pool suites, all designed in contemporary style with a bathtub, free WiFi, flat-screen TV, DVD player and iPod, as well as a private terrace/garden area. An all-day dining restaurant serves classic Lao cuisine, and the colonial-style bar is a great spot to enjoy a cocktail by the fireplace. The hotel also has a spa and library. This richly historic 364-room French colonial masterpiece built in 1901 is one of Vietnam's finest hotels, with luxuriously appointed rooms, attentive staff and gracious service. It is ideally located in central Hanoi and houses a beautiful interior garden. Excellent French cuisine is served at Le Beaulieu, and Hanoi specialties are offered at Spices Garden. 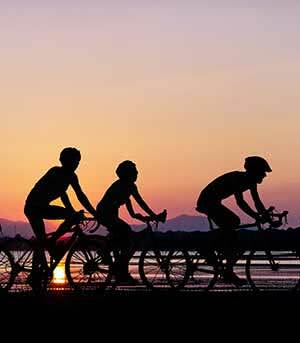 The hotel has a well-equipped fitness center with cardio machines and weights, as well as a swimming pool and spa offering massage treatments. All of the guest rooms have broadband Internet access and are decorated in an opulent, neo-classical style. On the banks of the Perfume River, the boutique Azerai - La Residence Hotel and Spa occupies the former residence of Hue's governor. The hotel is surrounded by lush lawns and looks towards the Imperial Citadel, a picturesque sight in hues of green, red and yellow. The 122 rooms and suites have the spacious feel of a colonial villa, with richly colored art-deco furniture and a river-view terrace. The lavish spa is equipped with Italian products from Comfort Zone. Azerai - La Residence Hue is only 10 miles from the airport (HUI) and is outfitted with a sauna, pool, fitness center, tennis court, and business center. Wi-fi is available everywhere in the hotel. Inspired by the colonial traditions of the French, this stylishly chic 259-room hotel built in 2005 is the premier address in Saigon, centrally located near the Opera House. 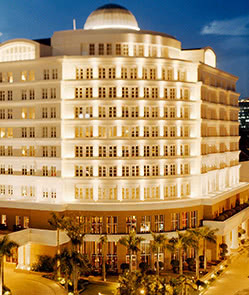 High standards of service, elegant decor and fine amenities are the trademarks of this hotel. The large and well-equipped fitness center covers 397 square feet and features modern Life Fitness cardio equipment with personal LCD television screens and headphones. A 66-foot outdoor swimming pool with a special water feature is located next to a beautifully landscaped tropical garden. Fitness classes are also available. All public areas have wi-fi, and there are wired Internet connections in the guest rooms. 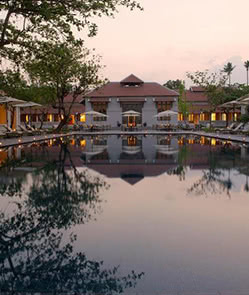 Located approximately five miles from the famed Angkor Wat, Amansara is sleek, stylish and superbly private. 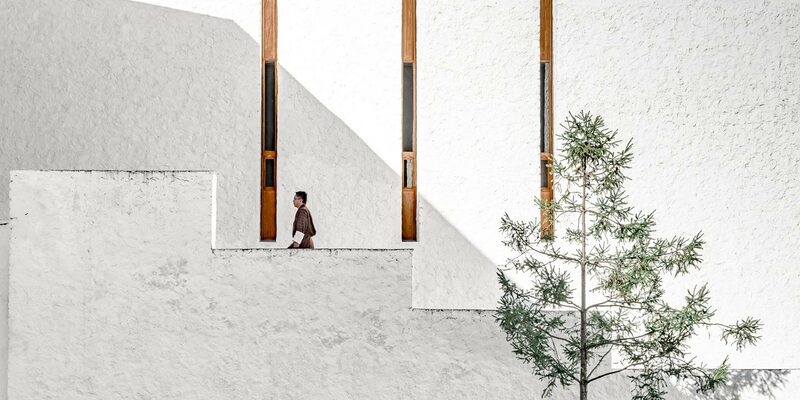 Formerly the guest villa of King Norodom Sihanouk, the grounds were originally laid out in 1962 and designed to embrace both modern design and the rich artistic legacy of Cambodia. This tranquil oasis is surrounded by beautiful gardens and includes a curved slate swimming pool. The 24 suites are decorated in a classic Indochinese palette of cool gray, pristine white, dark timber and ivory, and all include a private courtyard and soothing water features; 12 suites are equipped with private swimming pools. The Roof Garden, shaded by trees, is the ideal venue for relaxing by candlelight with cocktails, or for invigorating morning yoga sessions. The Spa, which has four treatment rooms, focuses on therapeutic Cambodian techniques using organic products. Every suite has access to its own remork and driver. 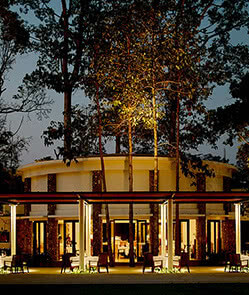 On the 2007 Zagat Survey list of the world’s best hotels, Amansara was ranked number two for service. 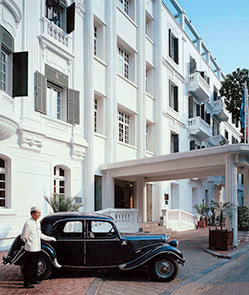 A grand, historic hotel, Raffles Grand Hotel d’Angkor opened its doors in the early 1930s. 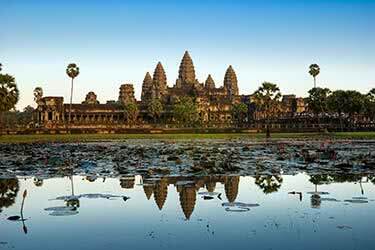 It is located on the main road to Angkor Wat and was planned so that it aligns on a north-south axis with Angkor Wat and Angkor Thom. Now sensitively restored, the hotel’s classic style coupled with its renewed modernity complement the grandeur of Angkor Wat. The hotel has 131 guest rooms and suites, each tastefully appointed with Art Deco-styled furnishings and Cambodian objets d’art. Guest services include the Raffles Amrita Spa, a fitness center, and a host of classes in the Raffles Amrita Pavilion, from Khmer dancing to Tai Chi. Elegant dining options range from the formal Restaurant Le Grand, to the Café d’Angkor, to the wide selection of cocktails at the famed Elephant Bar. The Park Hyatt is a new addition to Cambodia’s select five-star hotel crowd. The hotel was previously Hotel De La Paix, one of the country’s top properties, and has been rebranded after a complete renovation. 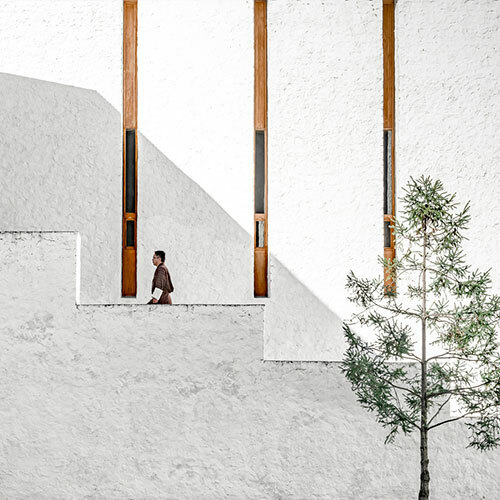 This new and exciting hotel is situated in one of Asia’s major emerging cultural destinations, providing ultimate indulgence and impeccable service. 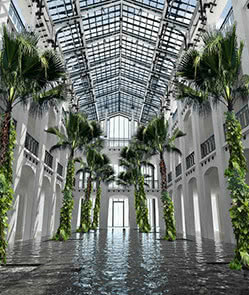 Designed by award-winning Bangkok-based interior designer Bill Bensley, Park Hyatt won Cambodia’s No. 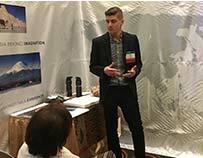 1 hotel spot in Travel + Leisure and ranked No. 29 in its World’s Best Hotels 2010 list. Park Hyatt Siem Reap features 104 guestrooms, a choice of restaurants, a bar, fresh bakery, two swimming pools, a spa and fitness center. Gather your closest loved ones and go on a 13-day adventure that celebrates the best of life, from bustling cities to postcard-perfect natural landscapes. Tap into the electric pulse of busy cosmopolitan cities whose frenetic energy is even more lively at night. Taste the fragrant cuisines that tell a story of the people’s past and present. Slow it down to soak it all in with moments of serenity in misty mountains and turquoise lagoons. 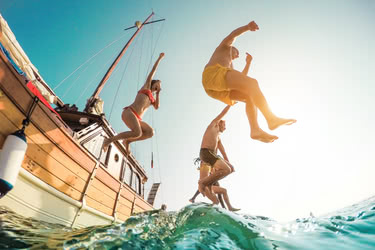 Relish these good times with friends and family and create fond memories that will be unforgotten. A quick but luxurious 2-day adventure in the Northern Thailand city of Chiang Mai, this itinerary is the perfect add-on to any Southeast Asia trip. Bike through vibrant green tea fields, explore the city’s revered temples and pay a visit to a Hmong Village. This is an active exploration of the ancient city. 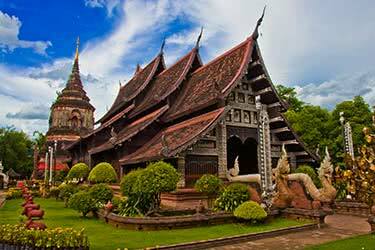 This nine-day itinerary will introduce you to the beauty and history of Northern Thailand. 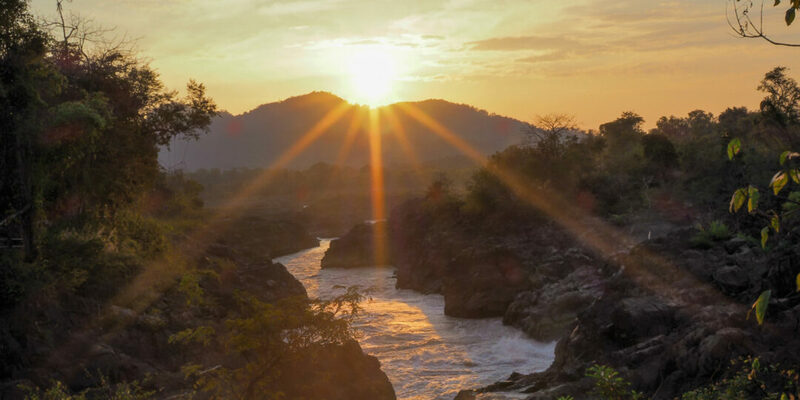 Visit authentic Lanna towns and traditional villages on the Sakae Krang River, explore a multitude of temples and ancient ruins, and spend a day interacting with elephants. 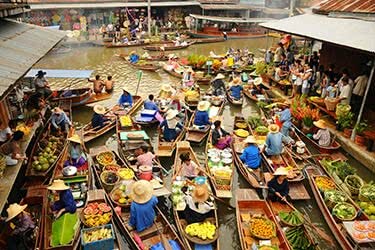 See the contrast of two cultures as they’re juxtaposed before your eyes on this 16-day luxury journey through Thailand’s Bangkok and Bhutan. You’ll compare the glimmering Grand Palace and Wat Arun to the ancient architecture of Bhutan’s monasteries, raft the Mo Chu river, and spend nights at the luxurious Amankora. 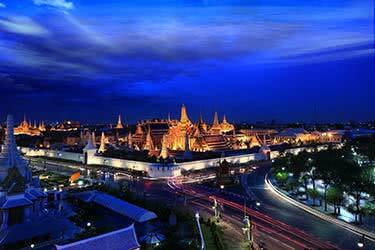 Spend 4 luxurious days getting acquainted with Thailand’s busy capital and surrounding quieter areas. 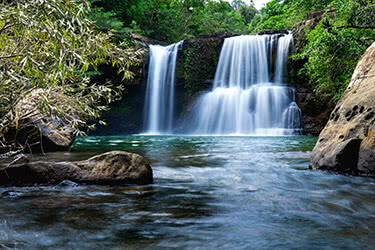 Kanchanaburi is only a 2-hour trip from the bustling city but feels a world away. The well-preserved ancient ruins of Ayutthaya are a must-see in addition to Bangkok’s fantastic cultural and historical sites. Combine the magic of Cambodia and Thailand with this specialized eight-day trip to the prized destinations of Siem Reap and Soneva Kiri. Spend the first half of the trip immersed in history and culture amidst the Angkor ruins, and celebrate tropical heaven during the second half at the darling Thai resort. Explore incredible ancient temples, sprawling ruins and rural villages on this luxurious 2-day trip in Northern Thailand. Sample and savor Northern treats as you step into another world in the massive night bazaar or the local market. It’s a holiday back in time with several ancient sites waiting to be explored. 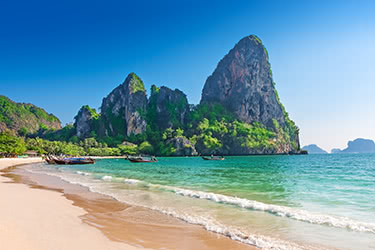 Known for its many glittering temples, tropical beaches, and spicy foods, Thailand is popular with travelers seeking leisure, adventure and everything in between. For the same reasons, the Land of Smiles is a great destination for the whole family with plenty of activities and experiences for the young ones. 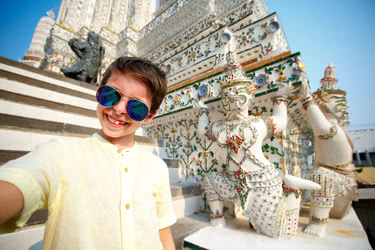 From learning about Thailand’s culture and history at interactive museums and watching shows to meeting locals on the street and cooking signature Thai dishes, this 10 day trip is packed with exciting and illuminating experiences sure to impart new lessons and lifelong memories on all members of the family, young and old. 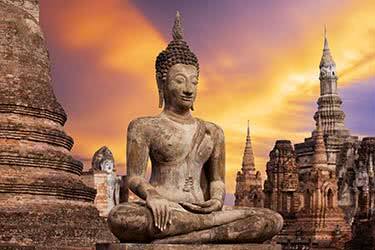 Navigate Thailand’s rich past on this luxurious 4-day tour. Bike between beautiful temples in the fresh mountain air in the North. Enjoy a hot beverage inside a preserved Moungngwezin House. Feel just as ancient royalty must have felt as you stay in the area’s most luxurious hotels and dine at the finest restaurants. 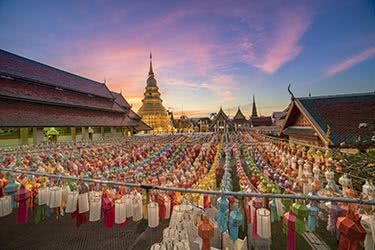 From the bustling city of Bangkok to the cultural center of Chiang Mai, the rustic Chiang Rai to the luxurious Koh Samui - this 10-day adventure-by-private-jet packages the best Thailand has to offer into a vacation that fits the bill. Does the thought of simply relaxing on the beach bore you? 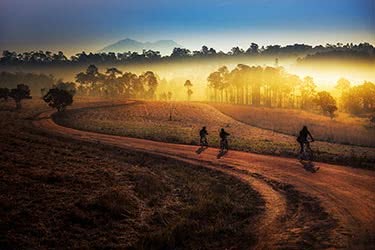 This luxury bike tour of Northern Thailand is far from a lazy holiday. 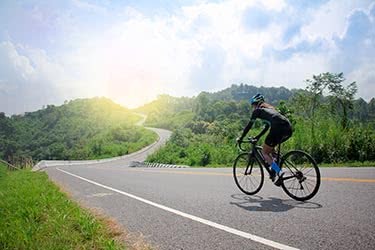 Bike through stunning mountain towns visiting small villages, ancient ruins and even the bewildering architectural marvel of the White Temple in Chiang Rai on this thrilling adventure. 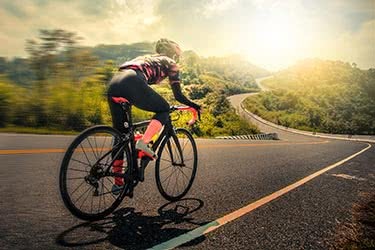 See what Thailand has to offer aside from stunning white-sand beaches on this 9-day luxury biking adventure through the equally beautiful North. 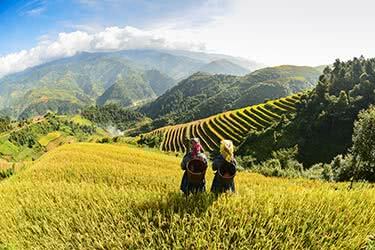 The region is full of bright green valleys, vibrant rice fields and jungle-covered mountains. 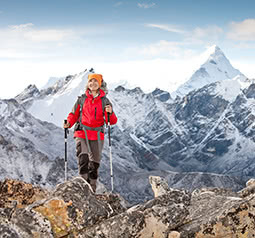 Sleepy mountain towns, friendly hill tribes and challenging ascents await you. 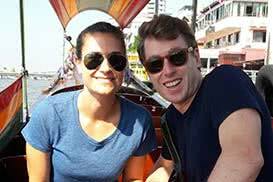 Our co-founder Jay Tindall has lived in Thailand for many years. He loves relaxing on the amazing beaches and attending rural festivals in the wild north of the country. 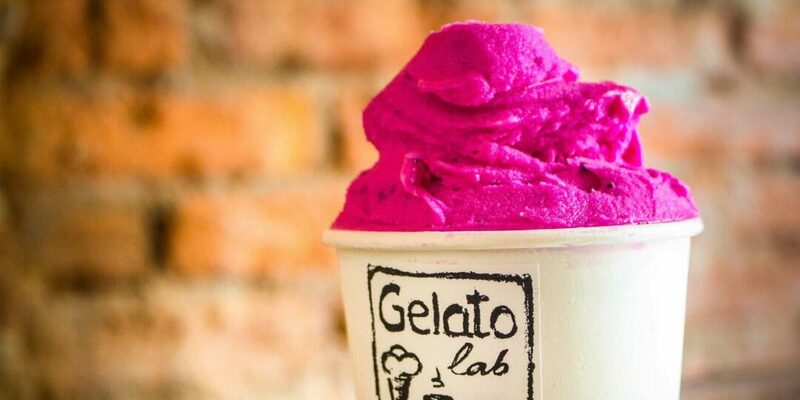 You've got the fine dining and the plush hotels, but when you're out on the town and you want a bite, there are a few international cafes and pizza shops you might want to check out. 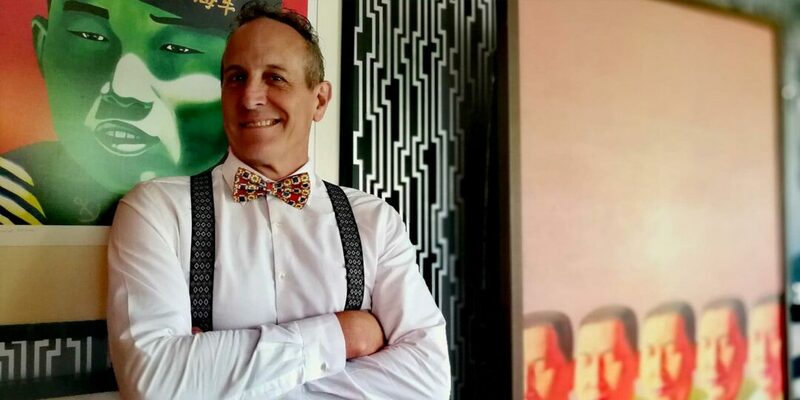 A sit-down with star designer Bill Bensley for a conversation about his method, minimalism, and the recently-opened Shinta Mani Wild in Cambodia. 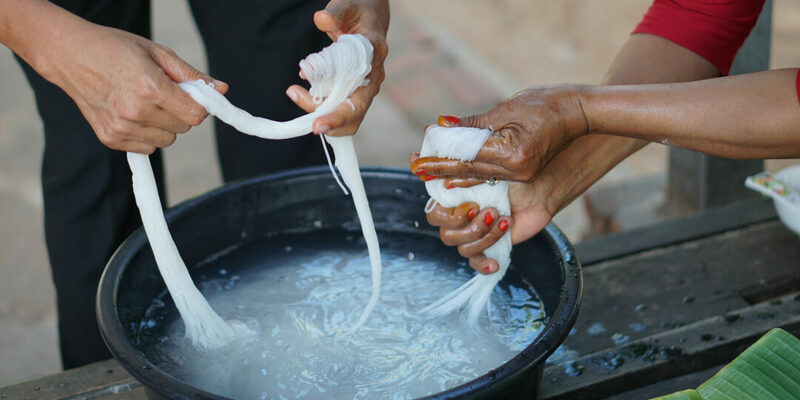 Travelogues journeys to Siem Reap to make simple num banh chok, a type of traditional Cambodian noodle, with the Park Hyatt Siem Reap's executive chef just outside of Angkor Wat. 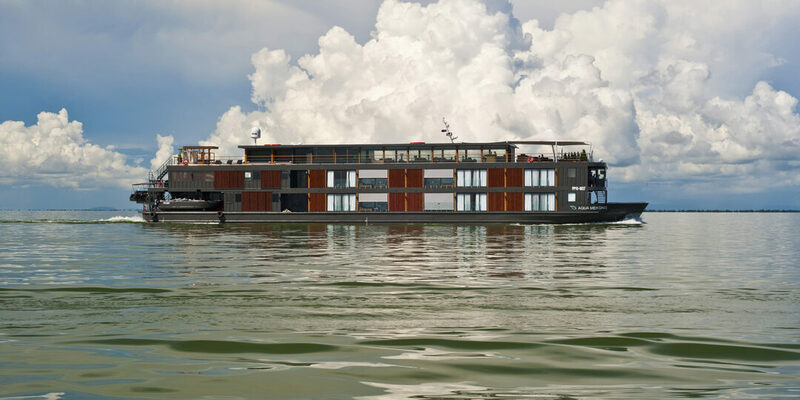 Travelogues boards the lavish Aqua Mekong for a four-day expedition from Siem Reap to Phnom Penh, a luxury cruise on Tonle Sap. Angkor Wat normally comes to mind when one thinks of Khmer architecture, but perhaps its truest modern form is found in Cambodia's capital, where the Phnom Penh palace makes for early morning inspiration.